As networking equipment becomes denser and port counts in the data center increase to hundreds and thousands of ports, managing cables connected to these devices become a difficult challenge. Traditionally, connecting cables directly to individual ports on low port-count equipment was considered manageable. Applying the same principles to high port-count equipment made the task more tedious, eventually becoming nearly impossible to add or remove cables connected directly to the equipment ports. 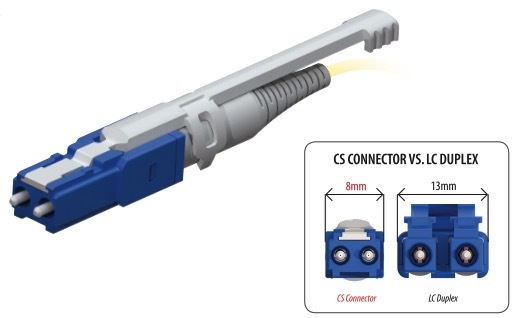 Structured cabling uses optical fiber connector housings that are connected through permanent links of optical cabling, typically configured in a physical star topology from the various areas within the data center (Storage, Servers, SAN and Network). 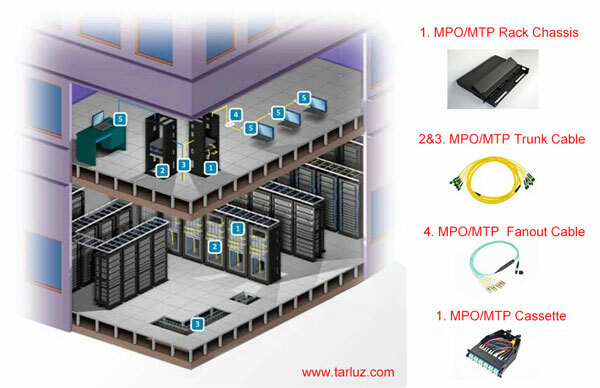 Utilizing pre-terminated MPO cabling from each of these areas to a central patching area provides an infrastructure where any port from any device can be connected to any other port. 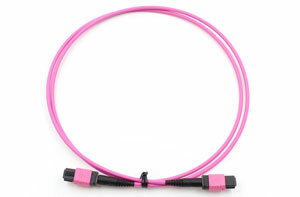 MPO Trunk Cable MPO Trunk cable assemblies are good for fast data center or fiber infrastructure implementation. 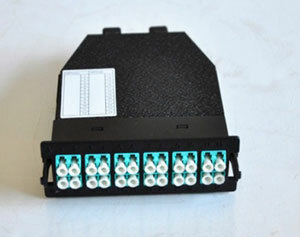 It is used to bridging among MPO cassette or fan out fiber patch cable among MDA, HAD and EDA. The high efficient plug and play patch cable structure remarkably reduced the initial installation and daily maintenance cost. Tarluz MPO trunk cable adopts selected fiber cable and MPO components, with low insertion loss, high return loss, fully meet the requirement of the high-speed data network. 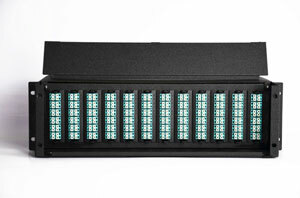 High Density Rack Chassis MPO high-density patch panel in applied in MDA, IDA or HAD in the data center for trunk cable connection and cable distribution, the patch panel installed inside a 19-inch cabinet, and could pre-assembled with MPO adaptor panel or MPO Cassette. MPO Adapter Panel MPO adapter panels (sometimes called bulkheads) are installed into the rack chassis. 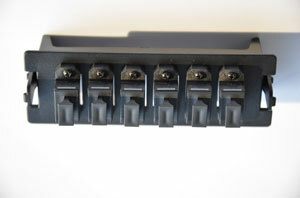 They offer a connection point between the MPO trunks and MPO jumpers or breakout harnesses. Thus, the trunk cables will plug into the rear of the panel, and the MPO jumpers or harnesses will plug into the front of the panel. 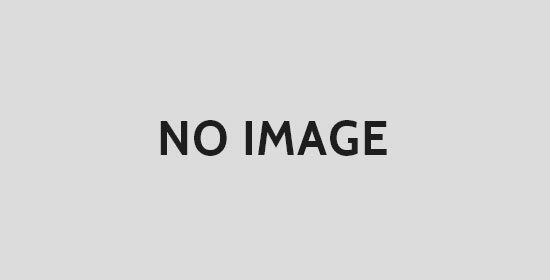 MPO – LC Harness Cable TARLUZ MPO Fanout cable assemblies are with a single 12/16/24/32 core MPO connector in one end and LC duplex connectors for another end. 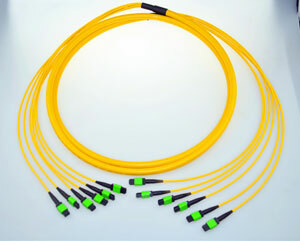 Directly connecting the backbone cable with the equipment without MPO cassette, beside it, the cable is also used for cable expanding in the data center. 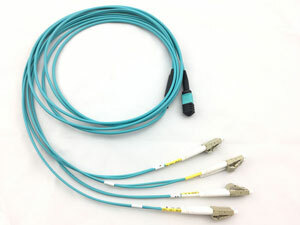 MPO Patch Cord or LC Patch Cord LC and MPO jumpers serve to create the connection between device ports and the structured cabling.